The arrival of this socialist group has posed a challenge to the mainstream Greens as a whole, as they’ve always stated that there are no factions within the party ranks. The party line has always been that they’re self-governing and their policies are based on a consensus model. However, Left Renewal tend to differ on these points. They believe the Greens have strayed from their more radical roots. And that today, the party doesn’t formulate all of their policies democratically and some of the party leaders aren’t elected. Calling themselves a tendency, as the term faction has negative connotations, Left Renewal base their ideology on the four pillars that the Australian Greens were founded upon. These are ecological sustainability, grassroots democracy, social justice, and peace and non-violence. The emergence of Left Renewal caused Australian Greens leader Richard Di Natale to speak out. Senator Di Natale further stated that he did not support the overthrow of capitalism and implied that it was a “ridiculous notion.” He said if the members of the tendency were “so unhappy with Greens policies” that they should go and find another political party to be a part of. Initial reports stated that the group were centred around NSW Greens Senator Lee Rhiannon. However, Left Renewal explained that the senator was unaware of their formation, until they publicly announced it. Indeed, there are no current or former MPs, MLCs or senators involved with the group. Tamara is a long-term member of the Greens party, and an activist from regional NSW. She was involved in the formation of Left Renewal prior to the group going public. Sydney Criminal Lawyers spoke with Tamara, a rotating spokesperson for Left Renewal, about what they stand for and how they plan to go about achieving their aims. So firstly, who are Left Renewal? What are its origins? And why has the tendency formed now? In the past months, we’ve seen that the world’s eight richest men have accumulated more wealth than the poorest four billion. We’ve seen the nightmarish Trumpism that has decreed Muslims are banned from entering the US. And also, the confirmation that 2016 was the hottest year ever recorded. 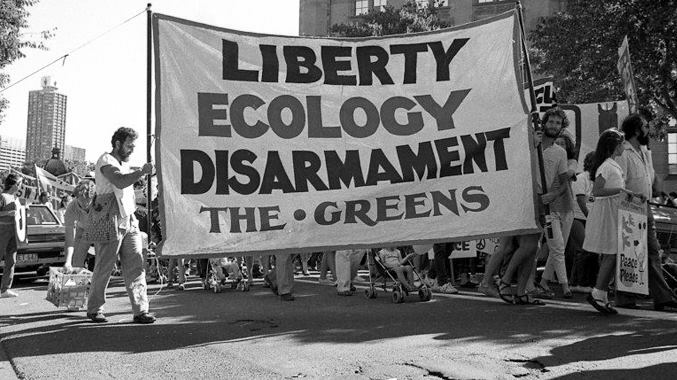 So in terms of how to tackle all those things, we go back to Greens NSW, who had its roots as a protest party from the 1970s era of the Builders Labourers Federation and the dissolving of the Communist party. This is actually different from the other state’s Greens parties, some of them came out of the Franklin Dam issue. 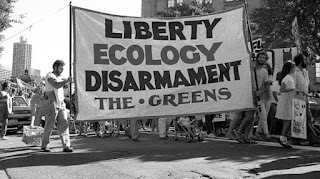 We go back to the infamous Green Bans that inspired our party founders, where ecological and social justice were fought for in the streets and on work sites. We want to go back to and strengthen those roots. Regarding why we formed now, we point out that tendencies have always existed within the Greens. And we’re sick of backroom ideology and shadowboxing over process. We just want to be transparent and talk about different politics and ideologies openly. We go back to the four pillars of the Greens. And we think if people want to organise passionately around what they view as the best realisation of those four pillars, then it should be encouraged. Some of the tactics in the past that have been used by the different tendencies – and by the right tendency we would say – but not declared openly, are factional organising and local groups, dirty tactics in preselections and process-based wars against the Community of Management, which is the body that makes decisions in the Greens, in between State Delegates Conferences. The ideology is focused around socialism versus social democracy, class politics versus liberalism, non-hierarchical versus hierarchical organising and non-electoralism versus electoralism. We encourage internal debate, whereas the other tendency has opposition to dissent, and would try and shut that down. Who amongst the Greens party’s rank and file members make up Left Renewal? We’re a grouping of rank and file members, who believe in revolutionary politics and class struggle. And members are welcome to self-identify, and many of them have. But membership lists won’t be made available to the public. We’ve slowly been posting Q&As with some members on the Facebook page. So people are welcome to look through the ones that have already come out, or wait for more to come out from those that feel comfortable. At the events in Sydney, the right tendency made a list of all the members there. And they’re threatening comments from people. So not everyone wants to become public. 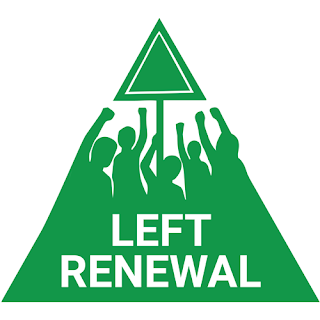 And am I right to think that it’s mainly younger members of the Greens that have joined Left Renewal? We have a variety of ages. Someone on our page, who’s had their profile published, is 52. And then there’s someone else who is 60. So it’s a variety of different ages. In Left Renewal’s opinion, what’s the problem with the mainstream Australian Greens party at present? We think that there’s an emphasis where the Australian Greens have lent themselves to professional liberalism. They want to wear suits, make deals and be pragmatic, so as to achieve, what we would see as, non-outcomes and just so-called electoral success. In order to impose that, they’ve sidestepped the membership at times, with unelected leaders and policies that members don’t get to debate. So at the moment, the federal parliamentary leader is not elected by members. That is something that we’d push for, a democratic election policy. And there are other policies that we don’t get to debate, even though we’re meant to be a grassroots party. They’re sometimes just announced. That means that we’ve backed down on important policy questions, such as Palestine and imposing foreign intervention in countries like Libya. We’ve ignored and dropped the ball on other questions, like free education, the ABCC and refugees. We’ve even condemned Indigenous activists and called them violent for burning the colonial flag. And our leader has called opposition to capitalism a “ridiculous notion,” and is pushing regressive policies like the sugar tax, without authorisation from the membership. With the sugar tax, we would say, that it harms working class people the most, and it’s shown not to be successful in stopping what it’s supposed to stop. In doing this, focusing on professionalism, electoralism and centralising of campaigning – instead of coming from the bottom up – we say that the Greens have betrayed our roots as a party of activism and working class struggle. And we need to be more serious about racism, wealth inequality and the bread and butter issues, like health, education and public transport for working class people. Rather than chasing the votes of a non-existent middle class sensible, professional centre. We say that it ties into Australian and global politics at the moment that will allow a far-right populist like Pauline Hanson take centre stage, as we’ve seen with the votes increase. We need to be appealing to working class voters and not just the middle class centre. Left Renewal states that it’s fighting “to bring about the end of capitalism.” But many people with socialist leanings would argue that this goal is hard to achieve working within an established political entity like the Greens. How does Left Renewal propose to go about achieving this end? One of the fundamental differences between the Greens and the left of the Australian Labor party is that the Greens do not inherently need to be a party that aspires to government and managing capitalism. We recognise as revolutionaries, during a low period of struggle, that the revolution is not something we can expect in the immediate future. We aim to be an ideologically militant minority within the party that can cause the Greens, as a whole, to be a more left populist project that will inspire people to organise against the status quo. And we think Greens MPs can resource and amplify that when organising community campaigns. Murray Bookchin – an anarchist in the United States, who helped found the US Greens and inspired revolutionary action in Kurdistan – saw similar values in Greens parties outside the establishment. He believed that they’re an important part of local organising to initiate change at the grassroots level. And that continued into the US Greens – which is obviously a parliamentary party as well – where the youth wing managed to win over the party leadership and they now have a formal anti-capitalist position. Indigenous rights activists reject this proposition as mere window dressing. These activists look towards the establishment of treaties between the government and the various Indigenous nations. Where does Left Renewal stand on the issue of what needs to be done to begin to bring about some sort of resolution for the nation’s First Peoples? I live in Bega, in rural NSW, in Dyirringan country. On Invasion Day, I remember an important thing that Rodney Kelly, an Indigenous activist, who organised an event down here, said is that solidarity with First Nations people is about sovereignty and treaty. And those words are left out when people are talking about the Recognise movement. A lot of Indigenous activists point out that the Aboriginal nations weren’t even consulted until after the Recognise campaign was launched. And there’s widespread dissent as it seems to want to ameliorate the dissent of Aboriginal people to their ongoing colonisation and subjugation in Australian society, instead of actually addressing that. Constitutional recognition, according to many Aboriginal activists, will have no bearing on the ongoing colonisation and they reject the legitimacy of our constitution in the first place, as do Left Renewal. We don’t want to take up space from Indigenous activists, like WAR and FIRE, and others across the country, who should be consulted on these issues and should be leading the discussion. There needs to be education and changes to the curriculum in schools across Australia. There needs to be country, language and culture returned. And government subsidies to fund those programs. People should be looking at the tent embassy in Canberra and different states – there’s one in Sydney as well – where they’ve declared they don’t accept the right of the colonial parliament to rule over them. So we’d tell people to look at what they’re saying. Environmental issues have always been a key part of the Greens political agenda. Left Renewal calls for an “international perspective of climate justice.” Can you outline what the tendency means by this? It’s about shifting the Greens conversation to climate justice, which is a term that is for framing global warming as an ethical and political issue, not just an environmental and physical one. A fundamental proposition of climate justice is that those who are least responsible for climate change suffer its gravest consequences. What we mean by that statement is that the impact that it will have on global working class communities is the most dire. For example, the rising sea levels already mean that five Solomon Islands are now underwater. They’ve literally disappeared and were there as late as 2014. And the government there has started to have to look at how they can provide for people as climate refugees, and look at the legal framework as to how they can keep existing as a nation. So Left Renewal, like all Greens, think there is a global climate crisis, but we think that those communities who stand to lose the most, including Indigenous communities, should be centred in the conversations across the world. The last point is that we think there is no such thing as isolationist environmentalism. A lot of environmental rhetoric places the environment against migrants or refugees, and we say that they’re intertwined. This sentiment pretends Australia’s economy doesn’t rely on exploiting other people across the world and that we can’t be environmental by exclusion, at the expense of others, who stand to lose the most. How does the faction plan to deal with the perceived conflict between the interests of the working class and the interests of the environment? We say that the ruling class tries to pretend the environment is a separate issue to others, and counter-posed to the creation and existence of jobs. We saw this internationally, for example, during Thatcher’s attacks on coal miners, in the pretext of sustainability. But also in the early forestry campaigns, with the north-coast Greens and NSW, which were involved in an antagonistic relationship with workers. And more recently, with the closing of one of the biggest coal mines in Victoria, and the Greens celebrating that, but not talking about how they would create jobs or how there should have already been jobs created. We argue for a just transition for workers in energy industries. This means plural redundancies, retraining and reallocation of jobs in the renewable sector, if workers wish. Investment in regional infrastructure and opposition to trade deals. Free education and a living wage for all. We’ve seen some strong work on this from the NSW Greens, where David Shoebridge and the late John Kaye worked to support steel manufacturing workers in the Illawarra. But the Greens must continue to do and dramatically expand this work. We had the Australian Young Greens Conference recently. And we spoke to Jill Stein, the leader of the US Greens, and she was explaining that over there they look to Germany for their view of just transitions. They’ve recently had to close a really big coal mine and thirteen hundred jobs were lost. They offered voluntary redundancies across all industries. And then the people were retrained and at the end of it, there were very few people without jobs. So we would be looking at that in the forestry and coal industry. How does Left Renewal respond to Senator Di Natale’s criticisms? So we echo that. We won’t be driven out by other members or leaders, especially the leaders that are meant to be democratically reflecting the views of members, not trying to expel them. We’re a group of passionate people in the Greens, who are trying to enact, what we see, as the realisation of those four pillars. And if people disagree with our view of how they should be enacted, then that’s totally fine. But they shouldn’t take it personally and try and kick us out of the party. And lastly, what’s next for Left Renewal. The tendency has formed and stated its principles, how does it propose to go about implementing them? We think a big part of what the Greens is missing at the moment is both political and campaigning education. We want to focus on that. We had a reading group last Friday about climate action and how to go about that in an anti-capitalist society. So reading groups like that. Other education events across NSW and the country. We’ve done one in Sydney and one in Canberra. And we’re looking at doing some more. And policy initiatives of things that we want to be pushing. For example, open borders, especially in the climate of Trumpism, and all the anti-refugee and racist rhetoric. So talking more about open borders and what that means. Running social media and real life campaigns in, but also outside of, the Greens. Attending events like the Anti-Capitalist Symposium that’s being held on March 11. That’s not organised by Left Renewal, but by members of the NSW Young Greens and the broader Greens. After the last State Delegates Conference – which is where we all make decisions together – a proposal was put forward that the NSW Greens adopt an anti-capitalist position. And as a result of that, there’s going to be a symposium, where people can interact and listen to speakers. So supporting those kind of events, but also organising practical events that affect people right now. Like housing in Campbelltown, where 800 public houses were recently sold off by government. We’d be looking at organising something there, as the community are pretty outraged. The Greens could be doing better in representing those working class voices out in western Sydney. And the final point is, supporting other activist groups and organising Greens contingents to events like May Day, which is about workers’ rights, and the Palm Sunday Refugee Rally. Tamara thanks very much for the great interview today. And best of luck with Left Renewal further establishing itself as a political entity within the Greens. That’s alright. And thank you.